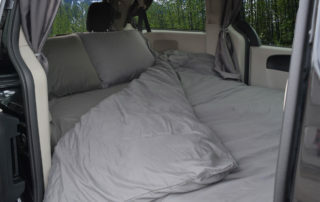 Travel Vans are just $159/night until May 23! 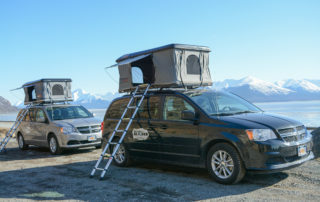 Every rental includes Unlimited Mileage! 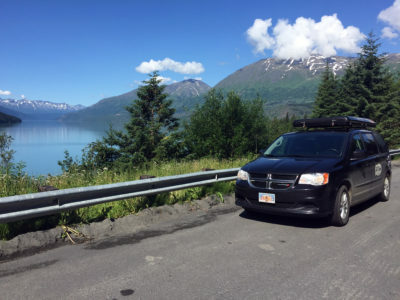 Get Lost Travel Vans is a smaller, affordable alternative to the traditional Alaska RV rental. 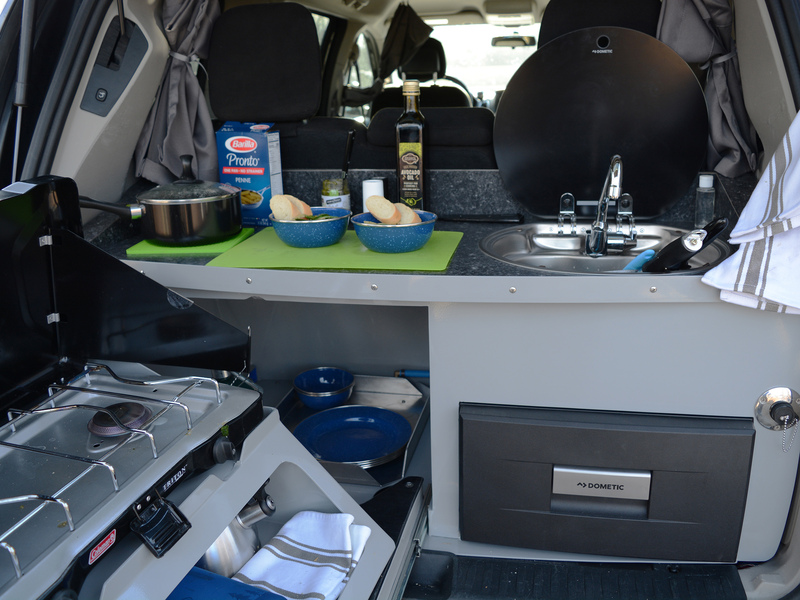 Our camper vans are converted minivans, carrying almost all the comforts of home but without the price tag or the giant vehicle to go with them. 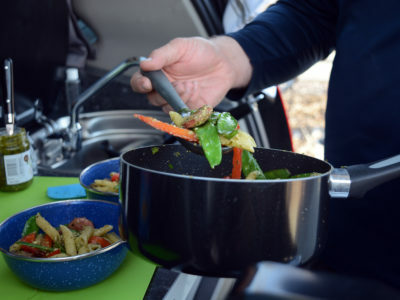 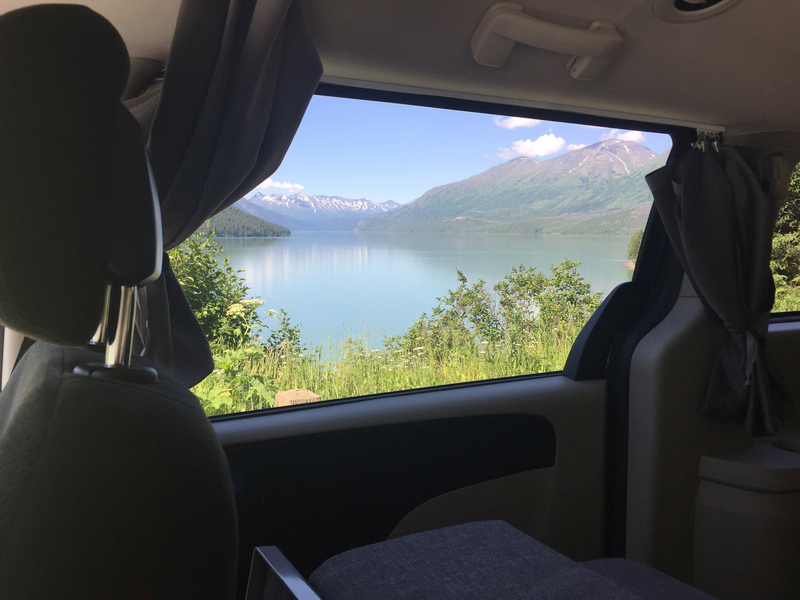 The camper van rentals come with kitchenettes, sleeping areas for 4 adults, and plenty of advice on where to go and what to see in Alaska. 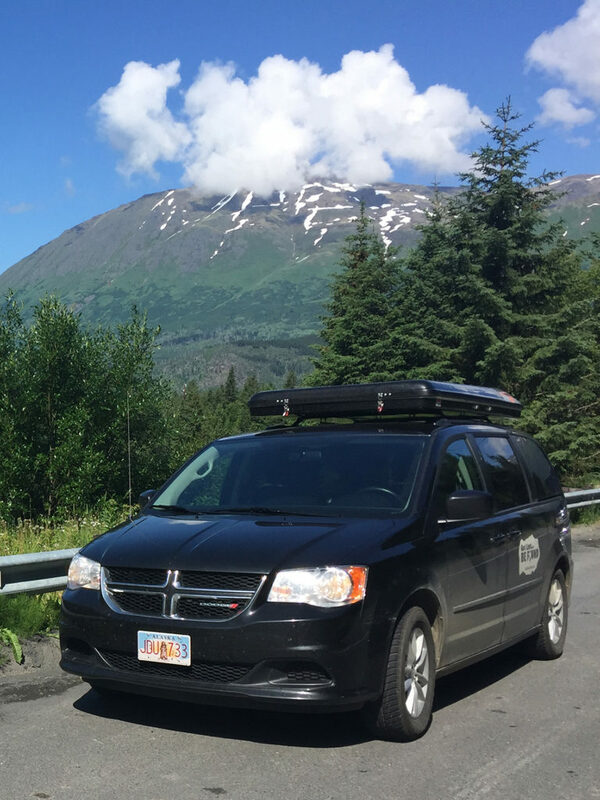 Every rental includes Unlimited Mileage! 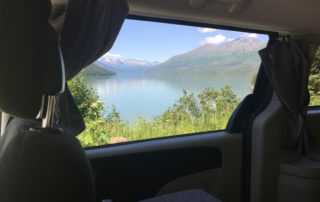 A camper van RV rental is the perfect way to see Alaska! 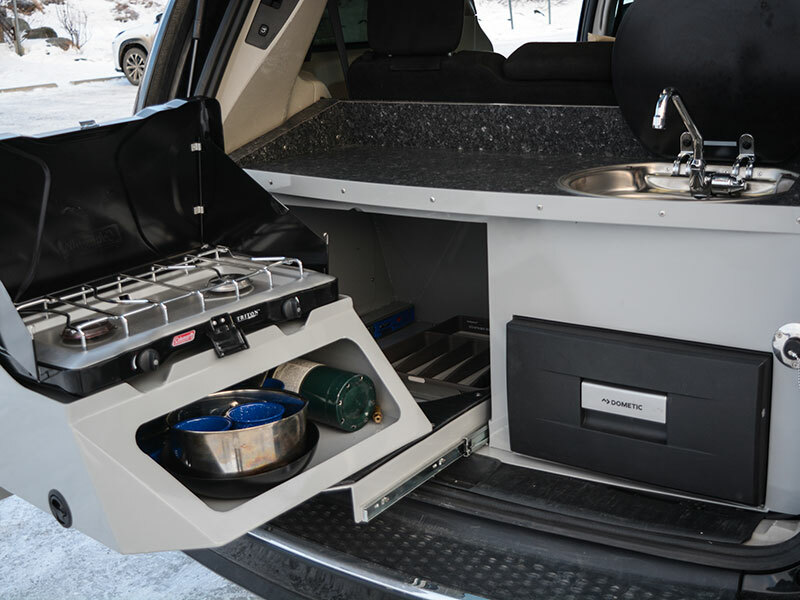 It’s easy to drive, simple to set up, and fun to get around in. 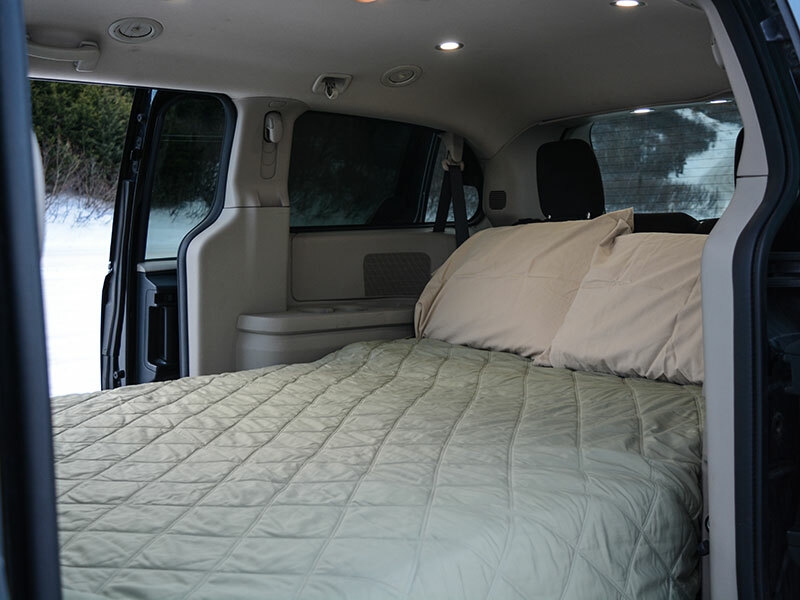 It looks like a regular minivan on the outside, but inside, it’s your home away from home. Check availability, or see where you can Get Lost. 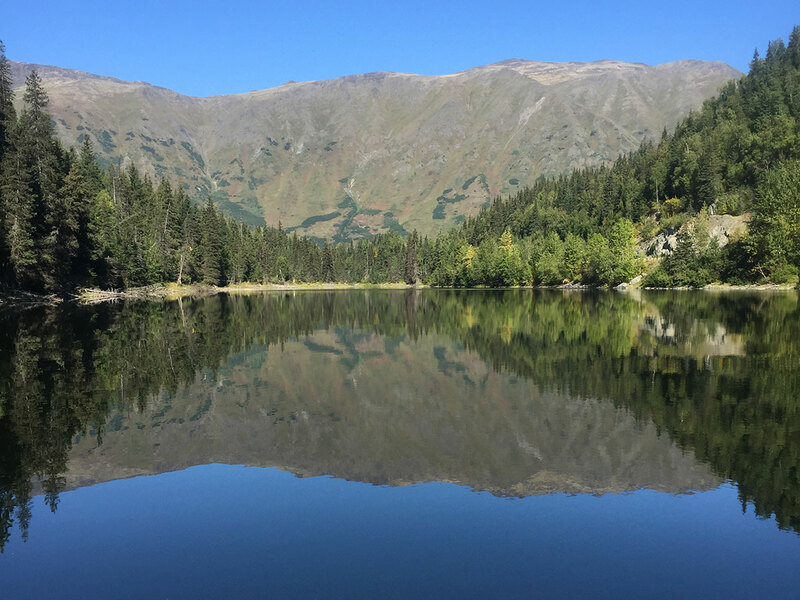 Unique Souvenirs: Hand-painted hats from AK Art Factory, and more! 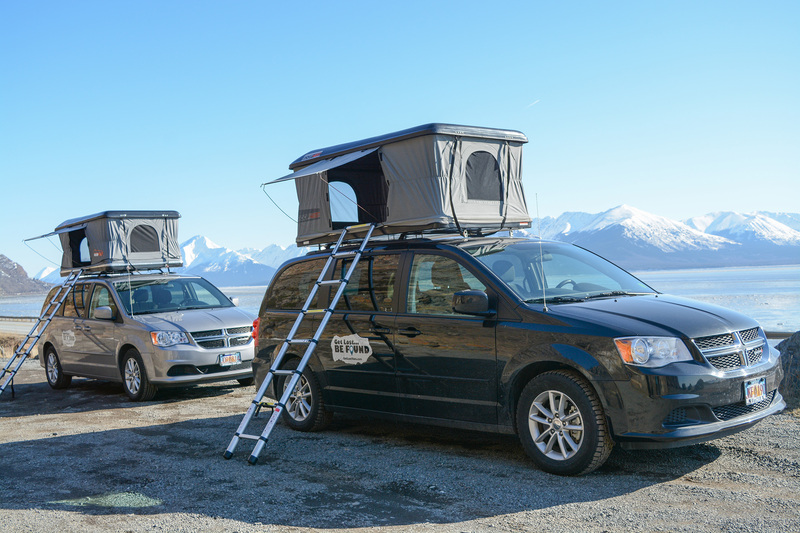 Rooftop tents, convertible beds, kitchens and more! 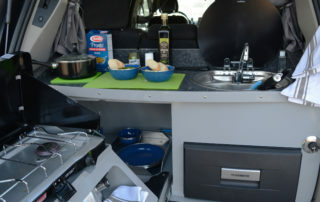 Sample itineraries, activity highlights, what to see and more! 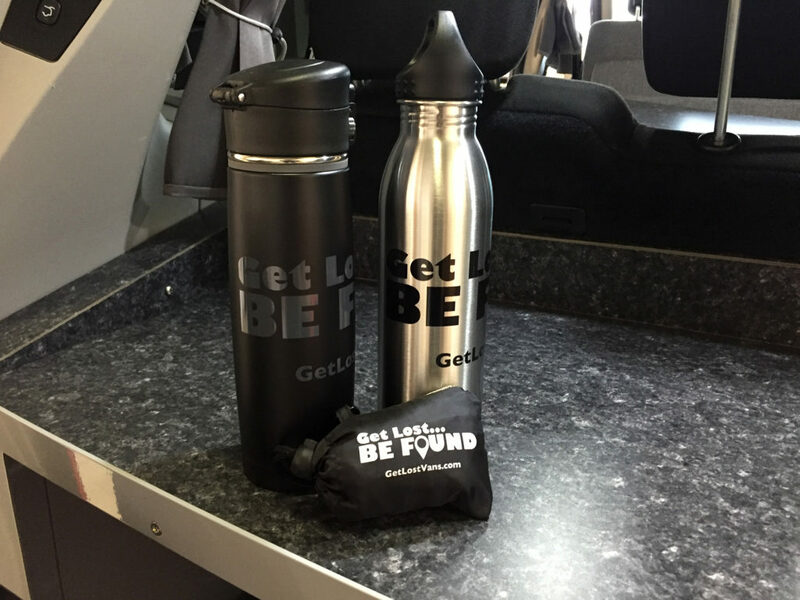 Tea Kettles, Coffee Presses, Camp Chairs and more!